Twill Fabric | White or Black Color Options | Wholesale | Canvas ETC . Poly cotton twill fabric is weaved in a diagonal parallel rib pattern. Stains are less noticeable on twills, which make this ideal for work wear & upholstery. This textile weave has characteristic filling threads that pass over each other – over one and under two (or even more) warp threads (the vertical threads) to give an appearance of diagonal lines. Twill is actually how the threads of the fabric (normally cotton) are woven together. It is, indeed, the weaving and diagonal rib that defines this widely utilized and popular textile fabric, which is what denim is actually. Twill fabric is made by changing the pattern so the weft thread will go over more than one warp thread before going back under. The horizontal weft thread will go under, over, under, over a vertical (warp) thread. 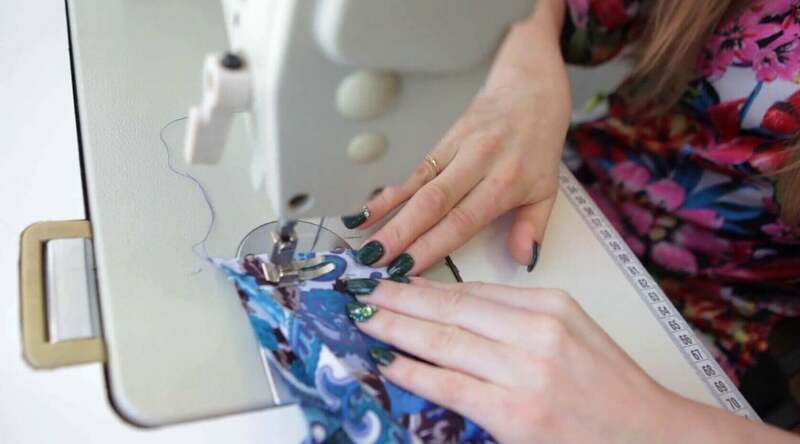 It’s the step between the weft threads that creates this known diagonal pattern in the fabric. Twill is most notably characterized and regarded by its diagonal weave. As the twill is woven in a series of diagonal but parallel steps (or ribs), it’s the yarn’s thickness that is what really equates to how noticeably obvious the ribs are. Especially noticeable is in a tweed when several colors are used. It is far less evident when used with a single colored thread like cotton (use in cotton twill is sometimes referred to as chino). Twill fabric is a favorite material used to produce coats in Scotland, as when woven with a coarse wool fiber, this will produce a nice fabric for cool temperatures. In general, Twill tends to be a light weight fabric, however. Other differing forms of twill that benefit from two colors of yarn are the herringbone, and hounds-tooth twill. Herringbone and hounds-tooth are often used in men’s and women’s suits. The two differing color threads produce these classic styles and looks of twill. Perhaps the best known example of twill is denim. Yes, that great material that we have all worn for most of our lives…and the fabric that is most utilized in jackets and, of course, blue jeans! Blue jeans and most denim jackets are dyed with indigo, however, and would look quite different if they were stitched in their undyed and natural cotton color. Cotton duck fabric is different from twill, in that cotton duck canvas is tightly woven using what is a called “plain weave.” Plain weave simply means that it is like a basketweave, where the weft passes over, then under, then over, etc… on the vertical warp thread. What remains in the end-product is a highly durable fabric with a nice and smooth surface. Cotton duck is very durable, and sometimes a bit stiff; but they are washable and will certainly “break in” over time. With washing and overall wear and use, they will actually become soft and comfortable. For the most part, the best twills for use are those with the highest thread count. This is because this highly increases the durability of the fabric. Both cotton and wool twill are preferable over rayon and polyester, again as they are more durable. Also, there is a direct correlation between the higher thread count and the end-resulting thickness of the twill; the thicker the twill, the better it resists staining and soiling, in addition to damage from water. Suffice it to say, the thicker the twill, the heavier and more capable of warming you against cold weather. There is a visible difference in the weaves of cotton duck canvas, and cotton twill. This twill Fabric is heavier than regular cotton materials with a more structured form. The differences in the weaves are quite noticeable, as the cotton twill fabric has its distinctive diagonal pattern! 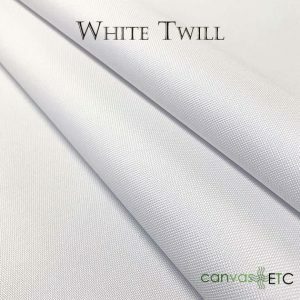 Twill is quite resistant to wrinkling and therefore, works very well for drapes, curtains, apparel and even upholstery.